Work side by side with renowned French master muralist Pascal Amblard, as he shows you his process for designing and painting murals quickly and beautifully! This intensive 6 day workshop emphasizes design and individual style. As a participating artist you will design and paint your own full-sized mural, and may customize your work, according to your aspirations and level of experience. Class is limited to a small group of 5 to 8 artists. Demonstrations of painting technique and individualized instruction will help you achieve your painting goals. 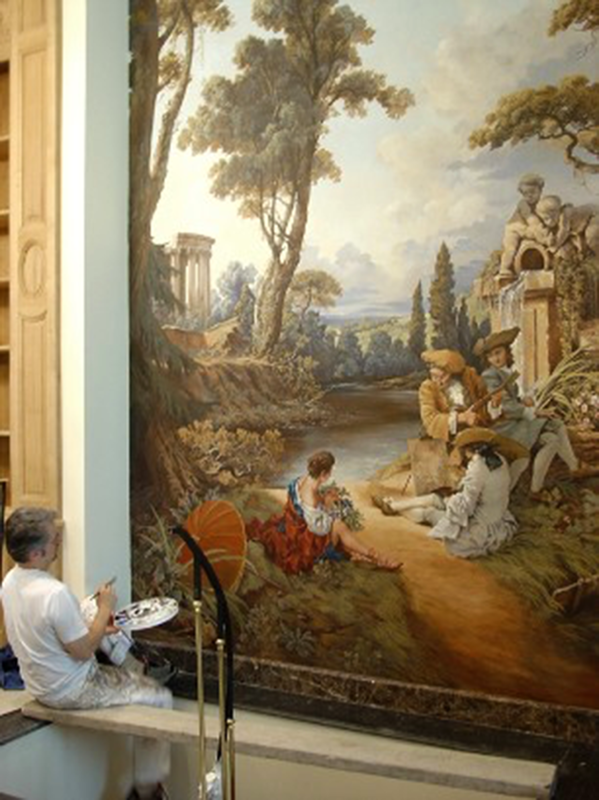 Class is held in a fully-equipped working mural studio.